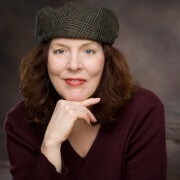 Dmae Roberts talks with Jessica Morrell about The Writing Life. This prolific writer and teacher shares her thoughts on writing through adversity and offers insights into the craft of writing. Morrell gives advice on how to construct a great story into a publishable work as well as how to handle rejection and struggle through adversity. Morrell also reads from a new work she’s written while recovering a serious traffic accident. Find out about the workshops she’s offering.